This Long Wheelbase Kombi comes is in very good condition with one owner. 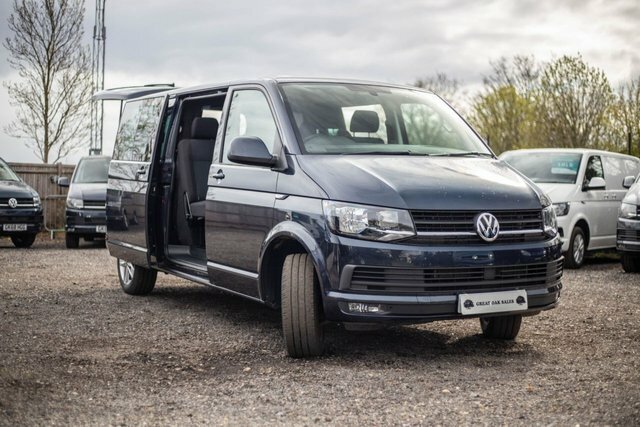 It comes in Metallic Starlight Blue and is a HIGHLINE with these extras: Sat Nav (Discovery Media), Electric Folding Mirrors, 2+1 Rear Seats, Cab Carpet, Twin Sliding Doors, Reversing Camera, Rear Bulkhead with Glazed Window, Grey Lining to Rear, 3 Seats to the Front. Want to talk to us about this van? Just give us a call and we will be happy to help: 01932765909.